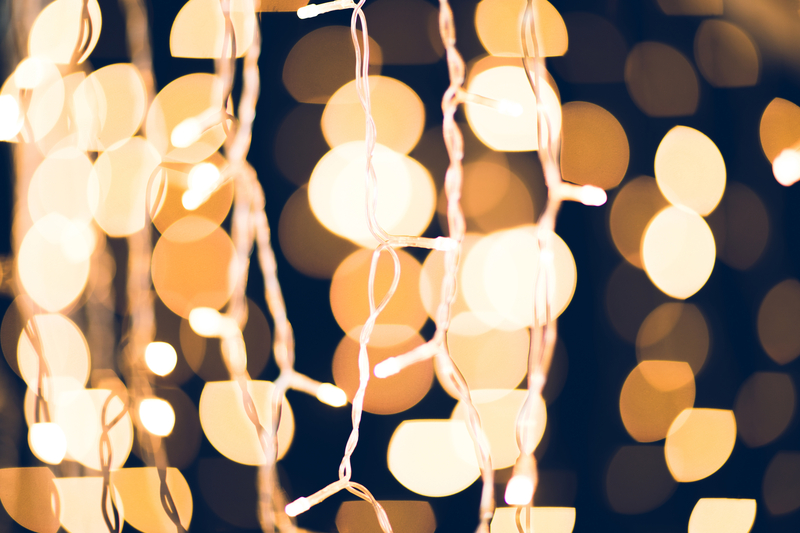 Strings of holiday lights, whether colored or white, make every home look festive. As you’re decorating, it’s crucial to keep certain electrical wiring and other safety tips in mind. Here’s what you need to know. Before you start hanging up strings of lights, do a thorough inspection of the electrical wiring first. Take a look at the cord itself for fraying and other issues; damaged wires are more likely to spark and start dangerous fires. Additionally, temporarily plug in each string to ensure the bulbs work. If you’re having problems, no matter how many bulbs you replace, it’s best to discard of that particular string completely. Having a house that’s far away from the street means less noise from traffic, but it also makes the residence a bit more vulnerable to would-be thieves who don’t want to be spotted. Illuminating the yard and eliminating places to hide are some of the best ways to deter potential intruders. Hang bright lights on the bushes and front porch to brighten up the property. These items are simply meant to help you make a wire that’s too short reach the nearest outlet; they are not intended to be overloaded with too much voltage. Don’t plug too many lights into one extension cord, as this could start a fire. Additionally, ensure any you utilize are truly intended for the outdoors first. The holiday season finds many homeowners climbing up on ladders to nail festive lights to their roof, and it’s no coincidence it’s also the time for lots of falls and broken bones. Never neglect safety for beautiful decor. Ask someone to spot you when climbing a ladder, wear the right shoes and gloves when using a hammer and nails, and hire a professional if you need help. The team at Lambert’s Contracting in Bluefield, WV, specializes in working with electrical wiring, paving, and even landscaping. They are dedicated to ensuring homes in Mercer, Bland, and Tazewell counties look beautiful this holiday season and are known for their affordable services. To learn more about how they will help you, call (304) 324-7972 or visit their website today.